Bring water to a boil and cook butternut squash for 3-5 minutes (timing depends on the thickness of your noodles). Cook until squash noodles are tender and al dente. Do not overcook the noodles. Set the noodles aside. Alternatively, you can steam the butternut squash noodles in a steamer basket. Rinse and clean seafood of your choice. Bring 1 quart of water to a boil in a large pot or wok with steamer basket. 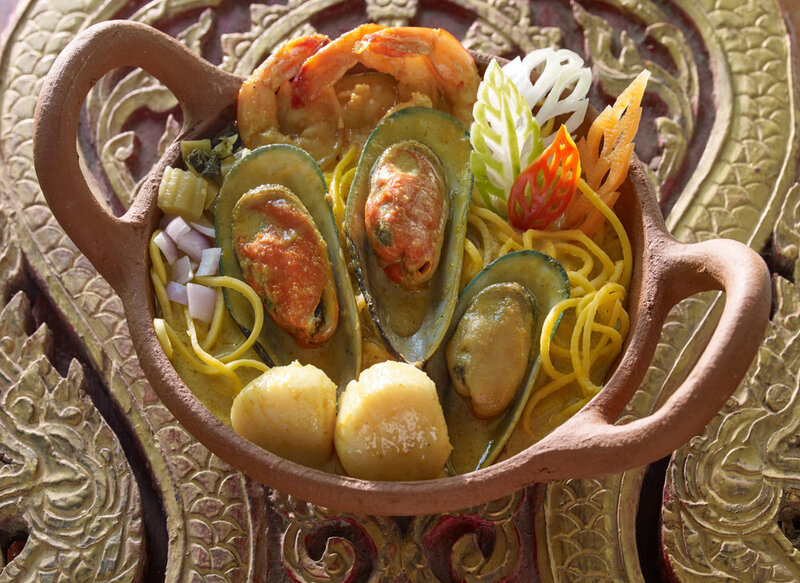 Place seafood of your choice in steamer basket. Make sure not to submerge your seafood. Cover with lid and steam on medium high heat until your seafood is cooked through. Heat WATCHAREE’S Thai yellow curry sauce in a pot over medium-low heat. Stir occasionally and bring the sauce to boil. Add steamed seafood and turn off the heat. Arrange squash noodles in serving bowls, add the seafood and the yellow curry sauce. Garnish with shallots and mustard greens to serve. To add a bit of zest, you can enjoy with pickled mustard greens which are available in most Asian grocery stores. WATCHAREE’S Thai sauces are now in Florida! 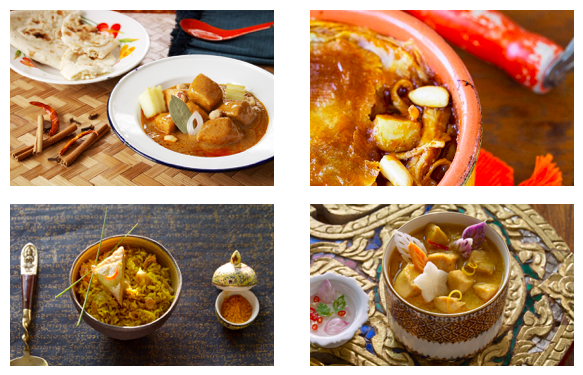 You can purchase our massaman curry at Publix stores. Check out other delicious recipes HERE.